While browsing the internet, you'll come across advertisements for different companies offering a virtual private network (VPN) solution. VPNs are widely considered to be a smart tool to use online, especially in the age of rampant data breaches and threats to individual digital privacy. But how do you know what differentiates one VPN provider from another? An interesting new study recently revealed that more than half of the VPN tools currently on the market are owned by private companies within the borders of China. While this does not necessarily spell trouble for users of those products, it does invite a discussion on the ramifications of VPN ownership. This article will cover the basics of VPN services and dive into how the revelation about China should change how you interact online. With a normal network connection, you connect from your home or office through an internet service provider (ISP) who manages traffic in a geographical region. The ISP knows which web pages you visit and what data you send, because that's the only way for response traffic to be routed correctly back to your computer, tablet, or smartphone. Using websites with secure sockets layer (SSL) technology can help protect your personal information online, but the most effective solution is to connect to a VPN service. A VPN acts as a secure tunnel between your device and the open internet, masking your traffic from everyone else, including your ISP. VPNs function through two mechanisms: the client tool and the endpoint server. A VPN provider will give you access to the client tool, which you can install on any internet-capable device and log in with your VPN credentials. Once authenticated, your web traffic will become encrypted and sent directly to the endpoint server for additional routing to the internet. The endpoint server is the only system capable of decrypting your web requests and sending them to the right place. The same sequence happens in reverse as well. Incoming data gets routed to your VPN's endpoint server and is encrypted for transit back to your device. The new study regarding Chinese companies owning so much of the VPN market is interesting because of the country's tenuous relationship with internet security tools in general. Chinese citizens have few access options for VPN tools, a fact emphasized by the recent news of Apple removing more than 600 VPN-related apps from the iOS App Store. 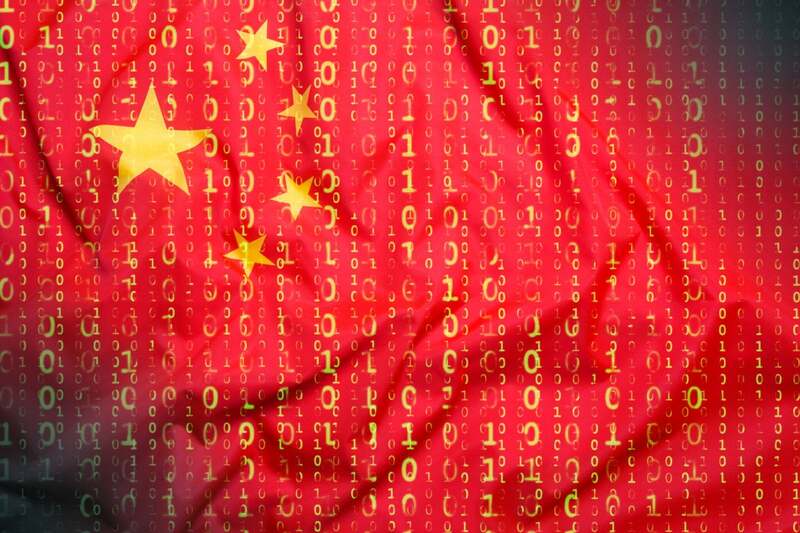 The Chinese government is known to run surveillance programs on its own citizens for the purpose of monitoring internet activity. Every technology company that operates within China, including ISPs, are required to comply with any governmental request for data. For example, the government could demand that an ISP provide a log of all websites that a certain person visited on a certain day. This level of surveillance comes in direct conflict with the purpose of a VPN. VPNs are meant to be encryption tools that make your online data anonymous to outside parties. But if you are running a VPN that is developed and owned in China, then there is a serious chance that your information is not as private as you think. It can be hard to gather information about a VPN provider. Many companies will not publicly reveal where they are owned and operated. The best advice is not to select your VPN tool based on cost alone. You will find some VPN providers that offer free solutions online, but these are often unreliable or not as secure as they appear. Take the Facebook iOS app for example, as it points users to a VPN service that is known to collect and share your network traffic details. Many free VPNs are owned by Chinese companies and likely subject to that country's surveillance programs. In fact, the study this article is based on found that some Chinese companies own multiple VPN companies and route them through the same channels. As you compare the cost and features of VPN services, make sure to prioritize your digital privacy. A VPN loses much of its purpose if you can't trust that your internet traffic will be kept encrypted and anonymous by the company that owns the service. Who cares how many VPN services China owns? It’s just one country. The issue is that it’s one mind-bogglingly massive country where internet use is rapidly outpacing the rest of the world. For better or worse, the rest of us have to consider what the Chinese are doing because there are almost 1.5 billion of them moving in monolithic lockstep with the whims of their authoritarian government. When more than half of the world’s online privacy tools are owned by sources behind the Great Firewall, we definitely should pay attention and probably sooner rather than later. VPNs are common in the private sector, though it’s not surprising to find large enterprises using dedicated web hosts with a custom security suite rather than go the off-the-shelf VPN route. Small-to-medium-sized business may find a VPN connection critical for any employee who needs to work remotely while still having access to a company’s internal resources like servers and databases. But VPNs also offer a host of advantages for personal internet activity as well. The most important thing privacy feature of an VPN service is its logging policy. If you take one thing away from this article, it’s to ensure that you choose a no-logging VPN service. PrivacyAustralia has a list of exclusively no-logging VPNs, with which you can essentially act anonymously online. If you are concerned about how your private information is shared between content providers and advertisers, then a VPN is an important asset to have. VPNs offer perhaps the most value for those who regularly connect to public WiFi and hotspots in places like airports or restaurants. These types of networks are highly susceptible to hackers, and a VPN might be the one thing preventing your personal and financial information from being offered for sale on the Dark Web tomorrow. Sam Bocetta is former contractor for the DoD, freelance journalist and privacy evangelist, focusing on privacy solutions for the general public. He covers emerging technology trends in cyberwarfare, cyberdefense, and cryptography.